In 1867, the University of Illinois at Urbana-Champaign was founded with an ambitious goal: to be a beacon of knowledge for the state, nation and world. Whether it is through our research, teaching, public engagement or alumni network, Illinois strives to make a significant, far-reaching impact. 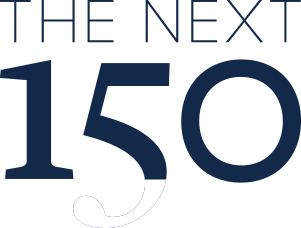 In order to ensure our continued success, Illinois is embarking on The Next 150. This effort is a collaborative and comprehensive process to create our next Strategic Plan. This plan will establish specific goals and focus areas for the next five years (2018-2023) and set the course for another 150 years of innovation in research, teaching and engagement. 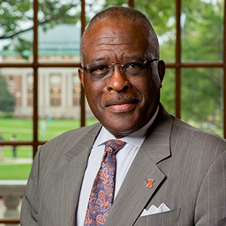 We will build upon the current campus priorities detailed in the University of Illinois at Urbana-Champaign Strategic Plan 2013-2016. These elements include our mission, vision, principles and areas of distinction. While the overarching goals for our campus are broad and timeless, the campus will engage in a comprehensive review to update the underlying goals and initiatives outlined in the past plan. In addition, the Next 150 will include an additional focus on areas of critical importance called Strategic Focus Areas. A Strategy Task Force, a committee of experts charged with tackling these issues at Illinois, will reach out to others and compose a report outlining recommendations. Transparency and collaboration are essential to the success of this process. The Next 150 will include opportunities for members of the campus community to give feedback. I encourage you to stay involved and offer your ideas.